This immaculate one bedroom apartment is moments from Crouch Hill Overground station. It has a light and airy living room, a modern fully fitted kitchen/breakfast room, double bedroom, ample storage throughout with walk in storage room/office. Holly Park is located just a short walk from the shops, restaurants and bars along Stroud Green Road and within easy reach of Finsbury Park station. Disclaimer Please note: These sales particulars have been prepared in accordance with the Property Misdescriptions Act (1991). They are a general guide and are not intended to constitute part of an offer or contract. Whilst every effort has been made to ensure their accuracy, no responsibility is taken for error. We have not carried out a structural survey or tested any services, appliances and fittings. 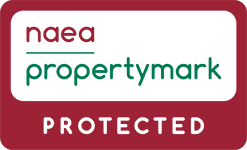 All floor plans, Energy Performance Certificates, photographs, measurements, tenure, service/maintenance charges, ground rent and council tax band details shown are given as a guide only and should not be relied upon for the purchase or renting of this property. Any personal effects, fittings or other items shown in any of the photographs are not necessarily included in the sale or let. The buyer or tenant must satisfy themselves as to what is included in the sale or let before proceeding to exchange of contracts or completion. If the intended buyer or tenant has any doubt as to the accuracy of the information supplied, they should seek professional advice before proceeding to exchange of contracts or completion. 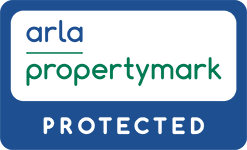 Selling or Renting out your property? Enter the price of the property you wish to buy. Is this your first home or a second home?